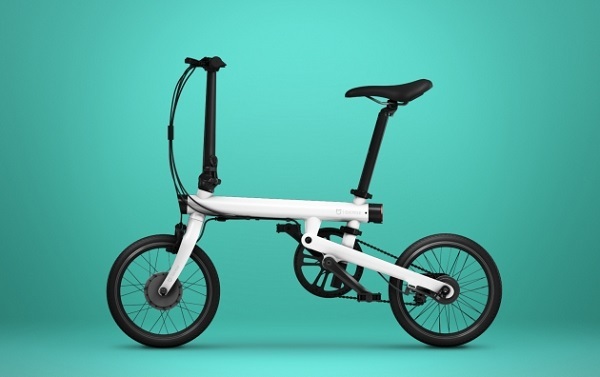 Xiaomi announces electric folding bike Mi QiCYCLE. Xiaomi has today announced the launch of Mi QiCYCLE at an event held in Beijing, China. QiCYCLE is a smart electric folding bike with a companion app that gives you real-time info on every ride you take. Xiaomi's Mi QiCYCLE is priced at RMB2999 ($455). XiaomiMi QiCYCLE is not an ordinary bike. It has a computer system so that you can check out all the fitness-related parameters such as calories burned, distance traveled, speed and more! It comes with an integrated electric motor which can be used for propulsion. QiCYCLE is powered by 250W 36V electric motor and uses Torque Measurement Method ( TMM) to assist the rider's pedal-power. Torque Measurement Method ( TMM) is invented by IDbike B.V.
Mi QiCYCLE comes with Panasonic 18650 20 x 2900mAh lithium-ion battery cells (same battery used by Tesla) with self-developed Battery Management System (BMS) that lets you go 45km on a single charge. 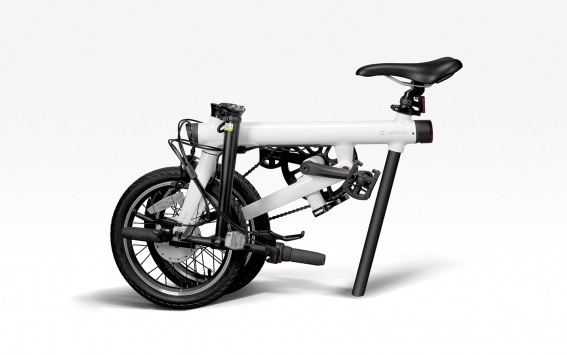 QiCYCLE is made of carbon fiber, loaded with sensors and weighs only 7kgs. What if the bike ran out of battery? You can still enjoy cycling with the aid of Shimano Gear Shifters. You can pedal (relatively) comfortably no matter what the terrain. Shift to an easier gear on climbs or when you're riding into the wind. Use a harder gear on flats or if the wind is blowing from behind.